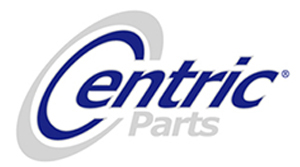 Centric Parts, which includes the StopTech and Power Slot divisions, is a leading manufacturer and supplier of aftermarket brake components and systems for everyday cars, performance duty vehicles and ultra performance vehicles. Centric continually innovates significant improvements to brake technology for the street and track, having earned four patents along the way. Centric’s brake pads, such as the PosiQuiet line of premium Metallic, Ceramic and Extended Wear formulas, provide superior performance, quality and value. 03-028 Clutch Kit: BMW 318i, 318is, 318ti, Z3 - 8-1/2 in. 17-059iF Clutch Kit with Flywheel: Audi TT Coupe, VW Beetle, Golf, Jetta 1.8L Turbo 5 Speed - 8-7/8 in.